The summit was moderated by Dr. Dave Samuel and attended by over 1/2 of the country's State Bowhunting Organizations. After two days of presentations, dialogue and social events, it was clear that the topic of most immediate concern to bowhunting leaders was the growing proposals allowing crossbows into the archery season. There was far less emotional dialogue over crossbows than I anticipated. The focus regarding crossbows was level-headed and constructive. The attendees wanted tools to bring back to their game agencies and legislatures in an effort to help counter propaganda delivered by crossbow advocates. 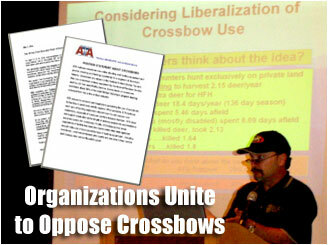 Prior to the summit, ATA had issued their official position on crossbows. The Summit attendees felt that it was necessary to draft a letter to the Archery Trade Association and signed by the organizations in attendance. The verbiage of that letter was agreed upon during the summit, and those organizations who were not in attendance were also invited to sign as well. 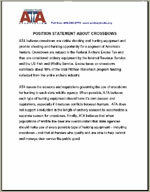 The result is a letter signed by 48 bowhunting organizations opposing the incursion of the crossbow into the archery season. If it hasn't crystallized with you by now, this issue (legalizing crossbows into the regular archery season by able-bodied persons) is reaching a boiling point. Game departments proposing crossbow use during 'regular archery' are finding themselves at odds with groups that have historically been their strongest allies. Bowhunters, who have always led the way to promote and support Game & Fish programs, regulations and conservation efforts now find themselves painted into a corner and labeled "divisive and emotional." 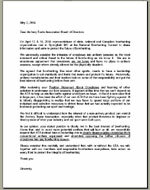 Meanwhile, the archery industry, represented by ATA is clearly divided among themselves -over this issue. There's really no other way to describe it, than it's a mess. And we need to find a solution to this growing problem before this issue creates irreparable harm between bowhunters, the industry and our game agencies.